Country Lodge is located in Montrose, Colorado; a beautiful town in Southwest Colorado on the western slope of the Colorado Rocky Mountains. 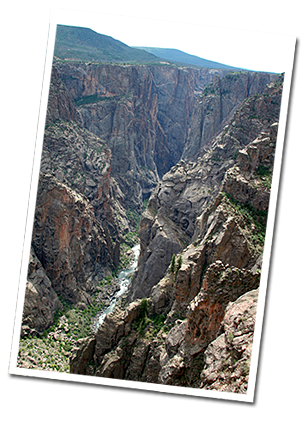 We are near the Black Canyon National Park, Grand Mesa National Forest and Uncompahgre National Forest. The location provides many outdoor activities, including fishing, hiking, mountain biking, many miles of jeep or 4-wheel trails, golf, boating, fishing and hunting. Of course, who can forget the incredible skiing Colorado offers! Our Montrose Colorado Hotel is close to Crested Butte Ski Resort, Telluride, Powderhorn and Cerro Summit. Snowmobile enthusiasts will be surprised also to find some of the best Colorado snowmobiling is only 45 minutes away! After a day of adventure, you should cozy up at the Country Lodge. Try Lodging Montrose CO style as we offer affordable themed suites! We have lots of amenities for your luxury & convenience such as Wi-Fi, hand-pieced quilts, rocking chairs, microwaves and refrigerators. Each suite is individually decorated and we pride ourselves on the special touches. Some other on-premises amenities are a hot tub, pool and beautiful gardens. Contact us for special rates or Book Online for an incredible vacation in Southwest Colorado that you will not forget. Be sure to check out our Montrose CO Motel Specials & Packages! Error(s): Enter a valid email.